Green Carpet Cleaning of Prescott offers an eco friendly non toxic alternative to cleaning carpets. The cleaning solutions we use are plant based derived, 100% bio d egr adable and non toxic. Many of the cleaning solutions we utilize are Green Seal Certified Green Seal is an independent, non-profit organization that promotes the manufacture, purchase and use of environmentally responsible green cleaning products and services. .. These all natural products and low moisture process are not only healthier and more eco-friendly, but they also do an excellent job at removing soil, spots and allergens from your carpets. We proudly serve the areas of Prescott, Prescott Valley, Chino Valley, Dewey Humboldt Arizona. Why is there no steam in Steam Cleaning? Steam cleaning is an excellent method for cleaning carpet, with a competent technician and the right equipment the method can achieve great results. But the fact is most steam cleaners don't generate steam. It's large amounts of water that's dumped on to the carpet. If the machine has insufficient vacuum power or if the technician doesn't perform enough dry passes the carpet will remain wet. Drying time can take hours or even even days. Excess moisture can lead to mildew, musty odors, mold and mold spores. Mold spores can start growing after 4 hours of moist conditions. Dust mites grow faster in moisture environments. The more water left behind in the carpet, the more detergents and residue remains as well. This in turn causes the newly cleaned carpet to attract more soil and it also causes old stains to return to the surface of the carpet. Green Carpet Cleaning of Prescott uses a unique low moisture, eco-friendly method that leaves carpets clean and dry within a couple of hours, not days. By greatly reducing the drying time reappearing spots are virtually eliminated and mold, mildew, bacteria, have less of a chance to grow in a dry environment. Carpets stay cleaner longer because the "all natural" cleaning solutions don't leave a soil-attracting residue behind. 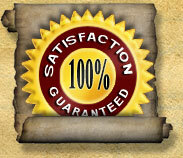 Our Phoenix and Prescott carpet cleaning websites offer a spot removal guide for your convenience. To see who else calls Green Carpet Cleaning of Prescott Arizona for their carpet cleaning, tile & grout cleaning, upholstery cleaning, and rug cleaning services go to our testimonials.